Brendan Behan. Behan, Brendan, photograph. AP Images. Once characterized as ‘‘a professional young Irishman,’’ Brendan Behan took that role fully to heart. In 1964, he died an early death from diabetes brought on by alcoholism. By that time, he had already become a legend. Stories of his drunken antics and his youthful ‘‘terrorist’’ activities for the Irish Republican Army (IRA) were more prevalent in the media than mention of his literary creations. An Upbringing Rich in Politics and Literature. Brendan Francis Behan was born in Dublin on February 9, 1923. His father, Stephen, was a housepainter, as had been his father before him. Both of Brendan’s parents had known middle-class comforts (though not in their married lives). As a youth, Brendan’s father was educated in a seminary. Kathleen, Brendan’s mother, was the sister of Peadar Kearney, who wrote ‘‘The Soldier’s Song,’’ (c. 1907), which became the Irish national anthem in 1926. Kathleen was also the sister-in-law of P. J. Bourke, who was manager of the prestigious and popular Queen’s Theatre in Dublin. The two formative influences on Behan’s life and writing were his Republican politics and his love and knowledge of Irish literature and culture. He owed these influences to both sides of his family, many of whom were involved in nationalist politics or Irish literature (sometimes both), as Colbert Kearney, member of the Kearney family line, points out in his writings on Brendan Behan. The family home was filled with books by Irish writers ranging from William Butler Yeats to Sean O’Casey. Behan joined the Irish Republican Army in 1937, and two years later, was sent to a reform school (called a Borstal school) for his political activities. The IRA and the Irish Fight for Independence. In the year Behan was born, the people of Ireland were embroiled in a devastating civil war over the country’s fate as either a dominion of Great Britain or as an independent nation. According to a treaty signed in 1921, Ireland was established as a free state that would remain a part of the United Kingdom. Opponents of the treaty included many members of the Irish Republican Army, who had long fought to establish Ireland’s complete independence from England. These Republicans argued that remaining apart of the United Kingdom would deny them the complete freedom and independence they sought for their country— especially since the treaty specifically required Irish citizens to pledge an oath of allegiance to the reigning British monarch. The bloody conflict between Republicans and Free State supporters lasted less than a year, but resulted in the death of thousands, including both soldiers and civilians caught in the action. The Republicans lost the battle, though the cause of complete independence remained the main focus ofthe IRA in the decades following the war. The forces that shaped Behan’s politics and writings were those that also formed much of twentieth-century Irish political and cultural history—militant republicanism, traditional and modern Irish literature (itself rooted in Irish nationalism), and contemporary politics. In 1939 Behan was acting as an IRA courier when he was arrested in Liverpool for possession of explosives. He was sentenced and imprisoned in February 1940. After two years in a Borstal school at Hollesley Bay, Suffolk, he was deported to Dublin only to become involved in a drunken shooting incident with the police. Behan’s experiences as a prisoner at Hollesley Bay inspired his later autobiographical novel Borstal Boy (1958). Productions of The Quare Fellow. Paradoxically, Behan, this most Irish of writers, became famous as a result of his first full-length stage play in England. Opening night of The Quare Fellow occurred two weeks after the legendary first night of John Osborne’s Look Back in Anger at the Royal Court Theatre. Behan’s play rapidly became part of the explosion of theatrical activity in London that characterized the late 1950s and 1960s and changed the face of British theater and culture. This revolution brought a new generation of theater practitioners—and especially writers—to the stage. They were mostly of lower-class origins (Osborne, Arnold Wesker, and Shelagh Delaney, for example), and were interested in contemporary subjects. Initially, this ‘‘New Wave’’ (as this period in theater was called) was associated with new companies, such as the Theatre Workshop and the English Stage Company at the Royal Court, each committed to opening up theatrical productions in distinctive ways. The writers associated with the New Wave, who were also described as ‘‘Angry Young Men’’ and (with more justice) ‘‘working-class realists,’’ were also part of much wider social and cultural shifts in British society. For many of the most prominent Angry Young Men, the role of left-wing hell-raiser was short-lived. They knocked on the door of the British establishment and were soon admitted. Behan did not follow this trajectory; he did, however, enjoy the fame and notoriety that his plays and public behavior brought him. As many friends and colleagues have testified, Behan was generous with his time and money, more at home drinking with what he termed ‘‘my people’’—the London and Dublin working class— than with the tabloid journalists who often pursued him (and whom he invariably welcomed). Howard Goorney, a stage and television actor in the Theater Workshop, reports that Behan regularly attended his own plays, often interrupting performances of The Hostage, heckling the actors and joining in with the songs. Behan also appeared drunk on the BBC television program Panorama in an interview with Malcolm Muggeridge in May 1956. This public drunkenness, more than anything that he wrote in his plays, stereotyped him for the wider public. A Career Too Brief. Behan did not appear in any great hurry to repeat the success of The Quare Fellow. His next play, An Giall (translated and revised as The Hostage) did not appear until two years later. 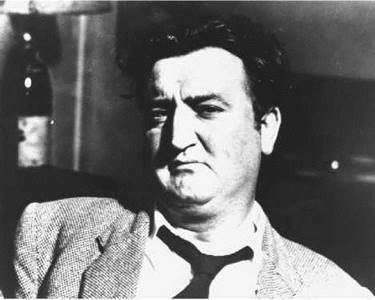 On March 20, 1964, Brendan Behan died of diabetes brought on by his alcoholism. This was only a few months after the birth of his daughter, Blanaid. His last works, most of which he dictated on tape, were Brendan Behan’s Island: An Irish Sketchbook (1962), a book drawn from existing material—stories, observations, memories—from throughout his life; The Scarperer (1964), a novel about a smuggling adventure, first published serially in the Irish Press (October/November 1953); Brendan Behan’s New York (1964), about his time in New York, a city whose bustle and chaos he obviously relished; and Confessions of an Irish Rebel (1965), the second volume of his autobiography, which further explored his ambivalent relationship with the Irish Republican movement. Elie Wiesel (1928—): writer and activist best known for his novel Night (1958). Elvis Presley (1935-1977): American musician and pop figure credited with popularizing rock and roll music. Vaclav Havel (1936—): Czech playwright imprisoned for his political views who ultimately served as president of Czechoslovakia and the subsequent Czech Republic. Jack Kerouac (1922-1969): American Beat writer famous for his stylized stream-of-consciousness novel On the Road. Liam O'Flaherty (1896-1984): Irish writer acclaimed for his short story ''The Sniper,'' set and published during the Irish Civil War. Samuel Beckett (1906-1989): Irish playwright famed for his absurdist works such as Waiting for Godot. Beckett won the Nobel Prize for Literature in 1969. Brendan Behan was the most important new Irish dramatist of the 1950s. Writing without the support of the theatrical establishment (the Abbey Theatre rejected his early efforts) Behan developed an original style that combined bawdy humor, genuine pathos, and social insight. If he had a model for his role as a dramatist, it was probably Sean O’Casey, whom Behan admired both as a playwright and as an opponent of censorship. The major influence on his plays, however, was Joan Little- wood’s Theatre Workshop, which emphasized improvisational effects, songs, and contemporary allusions that made the play more relevant to an audience. Imprisonment. A prisoner himself during his formative years, many of Behan’s works deal with prison settings and feature prisoners as their main characters. In fact, in Borstal Boy, the author himself recalls his own experiences as a prisoner. His less autobiographical works still deal frequently with the issues of prisoners; his most famous play, The Quare Fellow, hinges upon the execution of an unseen prisoner for an unknown crime, and focuses on the reactions of the fellow inmates to this tragic event. His second play, The Hostage, also deals with the execution of an unseen prisoner, and with a British soldier being held prisoner by the IRA. The Irish Fight for Independence. As an Irish writer living through the troubled times of the Republican struggle for a free Ireland, it is not unusual to find this theme at the core of most of Behan’s writing. His upbringing and early work illustrates his passion for the Irish fight for independence, though his later work reveals an understanding of the complex issues involved in the struggle. As a teenager, while in the youth branch of the IRA, he published poems and prose that expressed an idealistic view of the struggle for Irish independence. Borstal Boy, as a document of the author’s own experiences in prison before he was eighteen, reveal a distaste for the violence and divisiveness that often accompanied the struggle. His play The Hostage offers a sympathetic portrayal of a young British soldier caught in the conflict and acknowledges the suffering felt by both the British and the Irish because of the conflict. At a time when the only substantial Irish playwrights were emigres Sean O’Casey and Samuel Beckett, Behan helped to revitalize the theater in Ireland, largely by producing two plays that have more than a parochial interest, and by using realistic speech in combination with Brechtian music-hall effects. Kazin commented that ‘‘although Behan wrote only two notable plays, even that achievement entitles Behan to a place of some significance in the modern Irish theater.’’ His lasting influence is shown in the posthumous stage adaptation of his novel Borstal Boy, which went on to win a Tony Award in 1971 for Best Play. 1. In The Quare Fellow, how do the viewpoints of Regan and the prison governor differ on the issue of the death penalty? Why did each one bear that unique opinion? How did each viewpoint fit into the social schema of the time? Provide several real examples. 2. Joan Littlewood’s Theatre Workshop greatly emphasized the use of improvisational effects, songs, and contemporary allusions to make the play more immediately relevant to an audience. Discuss how one of these techniques might make a production of The Quare Fellow more relevant to an audience today. 3. Although Behan’s reputation rested mainly with the two plays, The Quare Fellow and The Hostage, he also published an autobiographical novel titled Borstal Boy based on his childhood experience in a reform school. Discuss how this experience, as represented in Borstal Boy, influenced his dramatic works. Compare in the work of a more contemporary writer with similar thematic content how the writing styles may be different but are used to achieve the same goals. Arthurs, Peter. Seamus with Brendan Behan: A Personal Memoir. New York: St. Martin’s Press, 1981. Kearney, Colbert. The Writings of Brendan Behan. New York: St. Martin’s Press, 1977. O’Connor, Ulick. BrendanBehan. London: Hamilton, 1986. Branigan, John. ‘‘Belated Behan and the Cultural Politics of Memory.’’ Eire-Ireland: A Journal of Irish Studies 10 (Fall-Winter 2002). Kiely, Brendan. ‘‘That Old Triangle: A Memory of Brendan Behan.’’ Hollins Critic (February 1965).